Free Estimates by a Master Plumber! For many years, Jeff Bliss and his team at J.W. Bliss Plumbing have provided home and business owners with the quality plumbing services they need. As a local drain cleaning specialist, we do it right the first time! 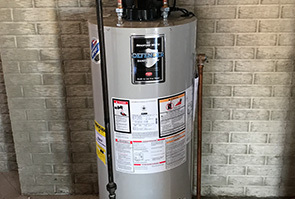 Specializing in water heater repair and replacement services, we have the skills, knowledge, and experience to get the job done to your complete satisfaction. We never cut corners when it comes to the quality of our services. Our top priority is your comfort and satisfaction. 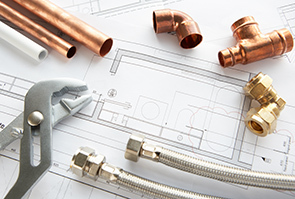 We’ll take care of all your plumbing repair and replacement needs. We also offer free estimates during normal business hours, special offers, and 24/7 emergency services. Do you need a reliable plumber in Lapeer Or Davison Michigan? J. W. Bliss Plumbing is the Lapeer and Davison area’s premier source for fast, dependable plumbing services. Regular care, upkeep and cleaning are vital to the continued efficiency of your home’s plumbing system. 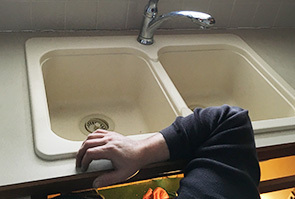 Unfortunately, many people simply don’t give their plumbing a second thought until it’s too late and they need emergency help from a skilled plumber. Whether you’ve found yourself in one of these messy emergency situations, or have simply recognized the warning signs of a problem before it happens, you can’t do better than to call J. W. Bliss Plumbing. From fast emergency service and routine maintenance to new installations, J. W. Bliss Plumbing offers comprehensive plumbing services designed not simply to solve your problems, but to make sure they stay solved. As a fully insured master plumber, we offer fast emergency service for any situation. But don’t wait until a pipe has burst to contact us. Avoid problems before they happen by giving us a call today!